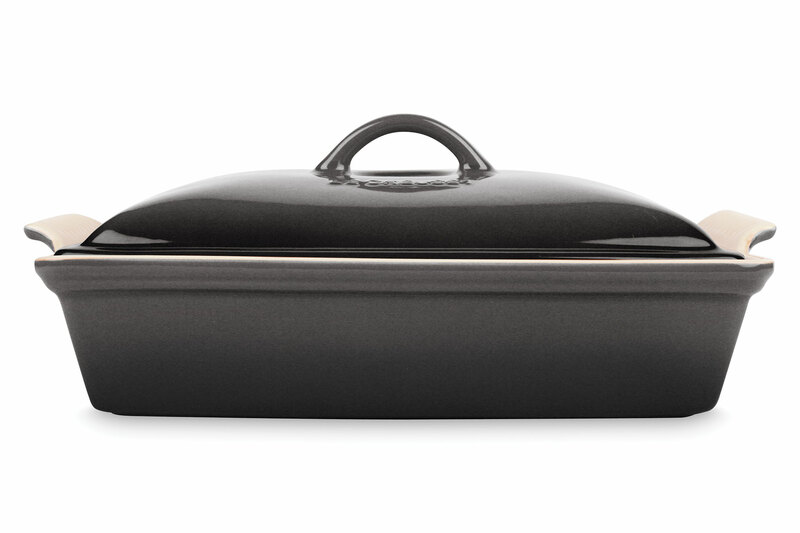 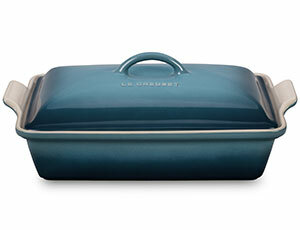 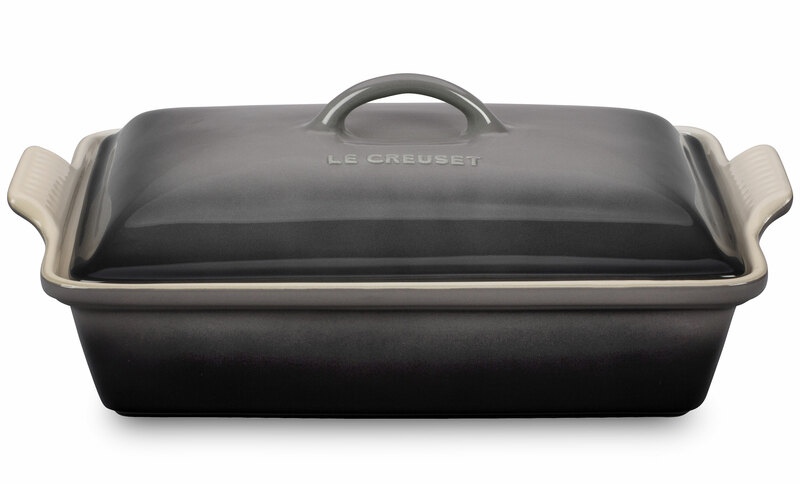 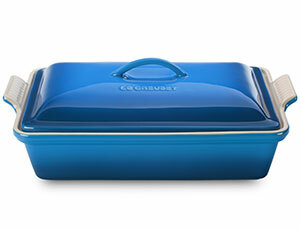 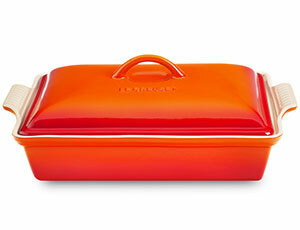 The Le Creuset Stoneware Heritage Covered Rectangular Dish is well-suited for family portions of side dishes such as oven-roasted potatoes, while still conveniently sized for leftover storage. 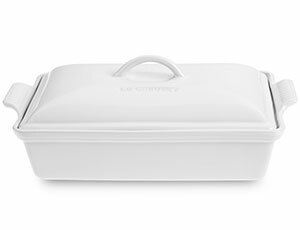 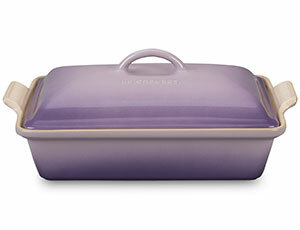 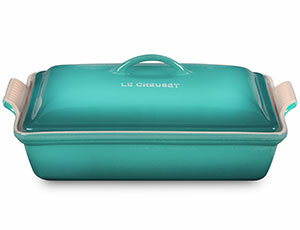 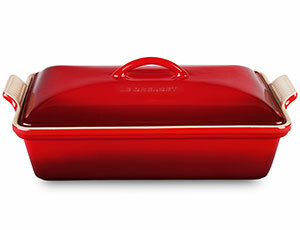 With its secure lid, this dish is a convenient choice for transporting dishes to parties, pot lucks and picnics. 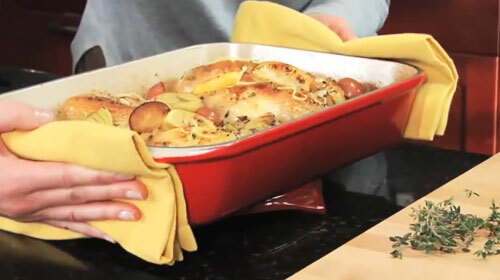 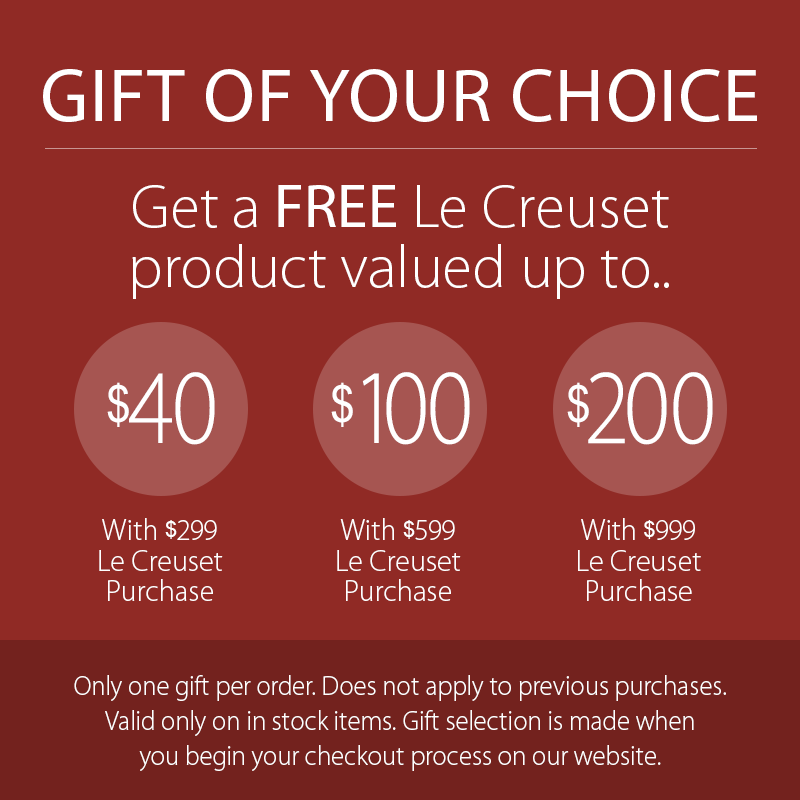 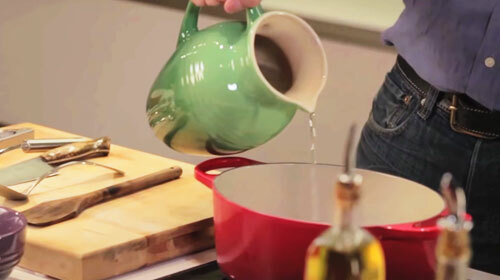 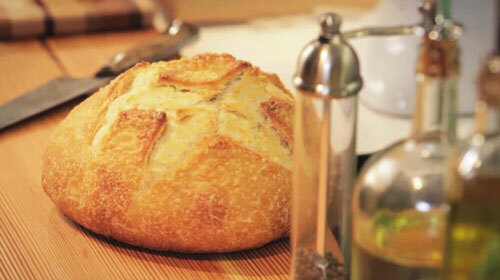 Not only does the stoneware lid provide an effective moisture and heat lock for the dish, but it prevents spills and protects contents until they are ready to serve. 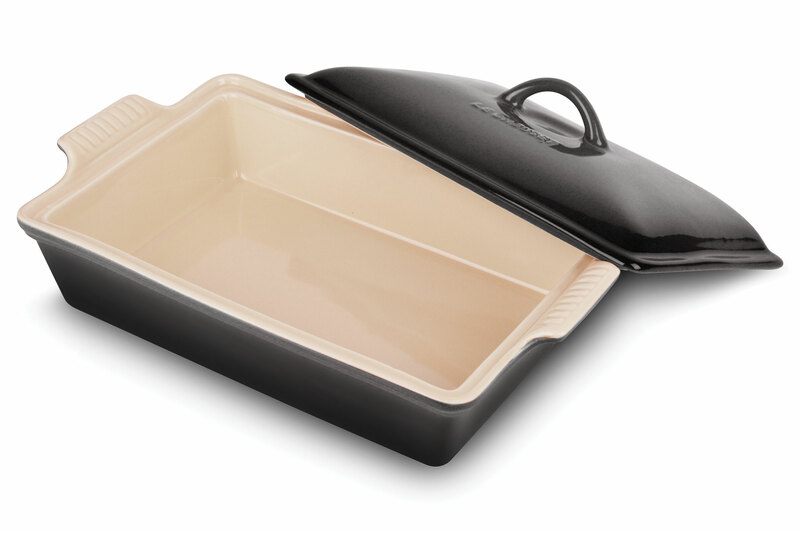 Adding to the versatility of this classic design, it's also useful as a marinating dish for lengthy cuts of meat before grilling or roasting in the oven.